The Twilight Zone reboot will premiere April 1st on CBS All Access with two episodes. Jordan Peele serves as the host and narrator of the reboot, which has been highly anticipated by fans of the original anthology series. After the April Fool's Day debut, new episodes will premiere each Thursday with past episodes being available on demand for the CBS streaming platform. The titles and stories have yet to be revealed by the network. 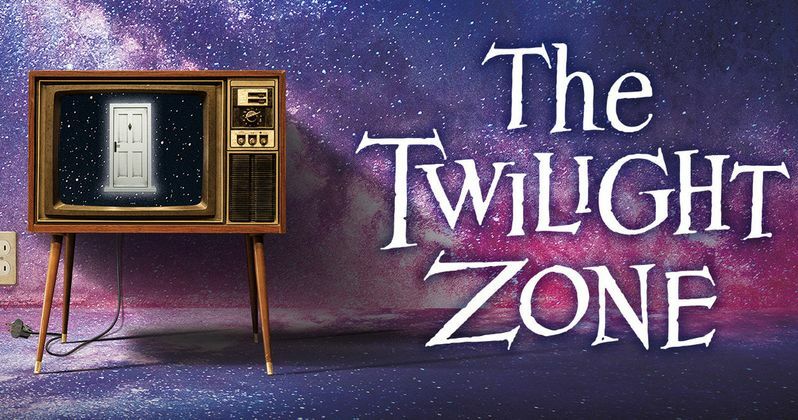 The Twilight Zone is a reboot of Rod Serling's original, which aired from 1959 to 1964 on CBS. Serling is someone that Jordan Peele looks up to and he was originally reluctant to take on the new series when he was first approached. However, he stepped back from it for a bit and then agreed to the idea when he was approached for a second time. As for making new episodes, Peele says that the mission is to keep Serling's legacy alive by going in without an ego and holding up a mirror to society, which is what the original series accomplished. The Twilight Zone has been rebooted before, once in the 1980s for three seasons, and again for a single season, from 2002 to 2003. Jordan Peele and crew have a big task ahead of themselves with their take on the iconic anthology series. For now, Peele is preparing for the release of his latest studio project, Us, which hits theaters in March. Less than a month later, he'll be taking Rod Serling's spot as the host of the new reboot, which should be exciting and nerve-racking at the same time. Jordan Peele is going out on a limb with two brand-new projects at the start of 2019, building off of the success of 2017's Get Out. Peele is currently on the cover of Rolling Stone magazine and his career seems to be just taking off after winning an Academy Award last year. As for The Twilight Zone reboot, Peele just wants to do the show justice, and with an attitude like that, it will be hard to fail, though the fans will be the true barometer when April Fool's Day rolls around in a few months. In addition to Jordan Peele as the host and narrator, The Twilight Zone reboot stars Ike Barinholtz, John Cho, Lucinda Dryzek, Taissa Farmiga, Greg Kinnear, Luke Kirby, Sanaa Lathan, Kumail Nanjiani, Adam Scott, Rhea Seehorn, Allison Tolman, Jacob Tremblay, Jefferson White, Jonathan Whitesell, Jessica Williams, DeWanda Wise, and Steven Yeun. This is a massive cast that will be spread around throughout the anthology episodes. The show is produced by CBS Television Studios in association with Jordan Peele's Monkeypaw Productions and Simon Kinberg's Genre Films. Jordan Peele and Simon Kinberg serve as executive producers along with Win Rosenfeld, Audrey Chon, Glen Morgan, Carol Serling, Rick Berg and Greg Yaitanes. This news was first reported by Deadline.